The current client produces publications, webinars, videos and other resources for use by authorised members under a set of Terms and Conditions and mediated by the principles of fair use. Klaxon number one: fair use doesn't have a legislated definition in UK Law, although it does in other territories, certainly the US. So we have an issue here. What does or doesn't qualify as "fair use" in the case of published materials supplied to a 'customer' or subscriber? Subscribers (members) get a certain allocation of resources with their subscription, and can pay for additional items over and above their subscription, generally at a member price. We make it clear these resources my be freely distributed within the member organisation but not re-distributed to non-members. Purchases of publications by non-members is normally offered for individual use, and is subject to standard intellectual property rights, copyrights and other terms and conditions. It gets more complicated when the member organisation happens to be an educational establishment with a body of students who are transient and not 'staff' who are signed up to the terms and conditions of supply. Which amounts to "don't re-sell, don't plagiarise, credit us when you use our stuff." This is so much more of a problem for content producers in the digital age, where mass-redistribution is enabled by the click of a button. Paper was so much more defensible. When we find a case of unfair use, we invoke our Take-down Policy, politely request and end to the offending behaviour, issue a Take Down Notice if needed, and threaten legal action as a last resort. Clearly, if it's a paying customer, we don't want to resort to legal action. The difficulty with educational establishments, you can't legislate for the naivety, stupidity, ignorance or wilful misbehaviour of the student body (and sometimes the teaching staff! ), no matter how well you get on with the institution itself. What is does for the institutions is legally cover their back against ill-behaving staff and students, in the hope that swift disciplinary action under such a policy will head off any copyright infringement lawsuits by publishers. It also addresses the defence of ignorance by making explicit what fair use is. 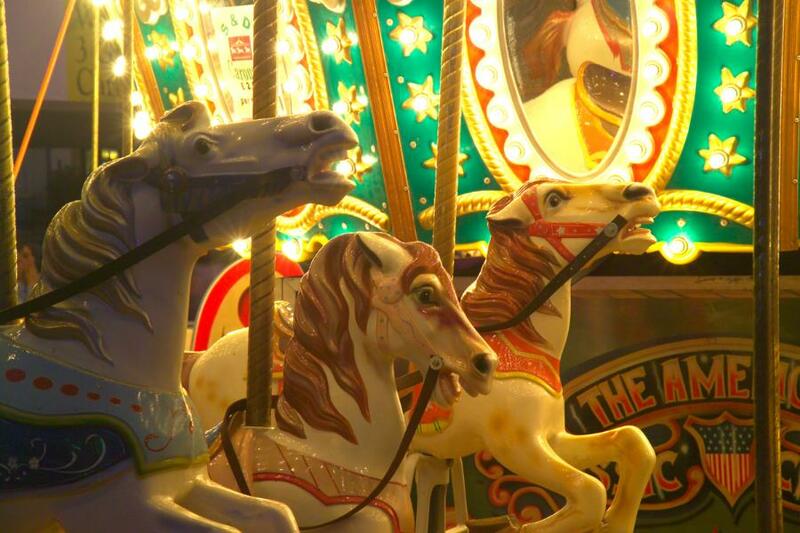 Image credit: Fairground Carousel by Ian Britton, via Freefoto.com, under Creative Commons license.